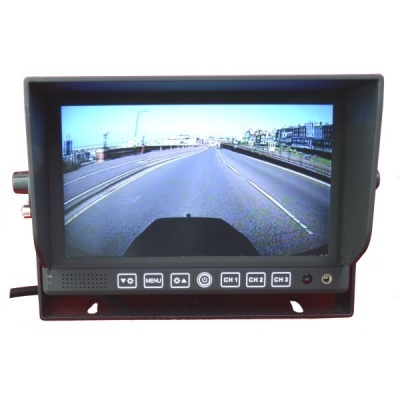 This 7" colour TFT rear view monitor uses a high definition colour LCD panel which offers almost 4 times more pixels than our standard 7" screens. It has 3 AV inputs, 2 of which have sound enabled. 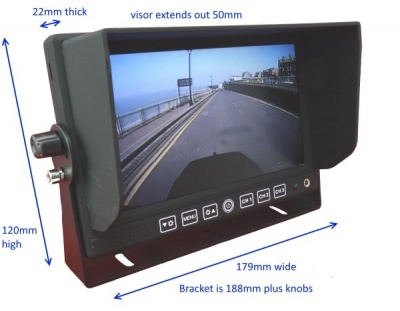 It has our standard 4 pin connectors for the cameras and will provide power for each camera attached. There are trigger wires with adjustable time delays on the inputs to enable indicators to be used to trigger an AV channel. It is dual voltage, being equally at home on 12 or 24v vehicles. 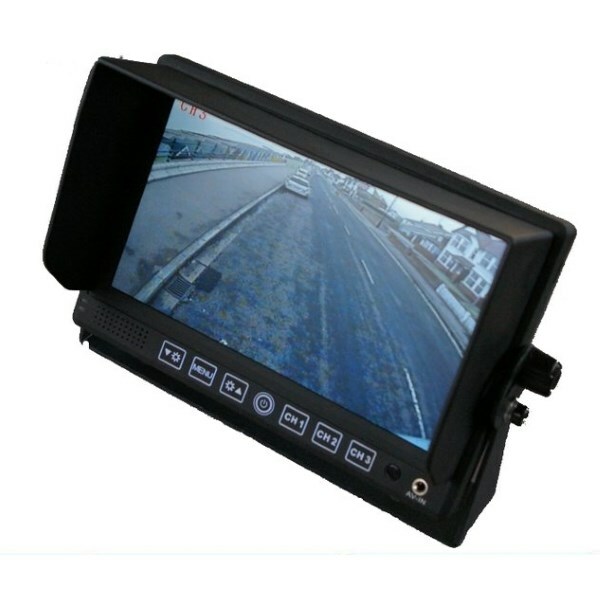 It has voltage overload protection and reverse polarity protection to ensure the monitor and cameras are not damaged by fitting errors. 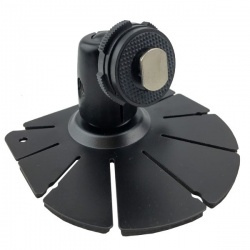 It is mounted by a substantial U-bracket and to help keep the sun off the front of the monitor there is a deep sun shade. The controls are via a touch panel on the front of the monitor. At night there is a light sensor that will automatically dim the display to avoid glare. We are often asked if this monitor can take any punishment. This monster truck has one of our MON705 fitted with 2 CAM022. It spends all day long driving over cars. We recommend having a go next time you see them at a racing event. 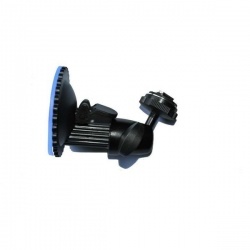 We often supply these to mining companies for use in their vehicles. We even have some in a Northern Ireland gold mine. All have worked with no issues.